First of all, please allow me to apologize for the dearth of reviews. The sick-ick has struck the Jesing-house and I’ve been rather preoccupied caring for the household. Regardless, it seemed like a perfect opportunity to post some reviews for books I read in the weeks before I started my blog. Turning lemons into lemonade, right? 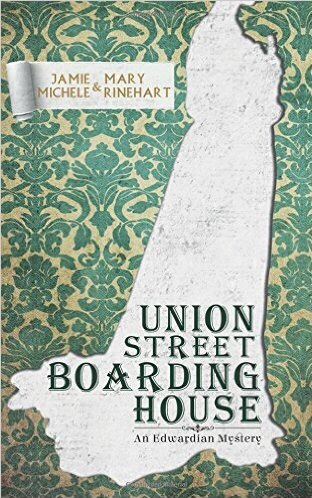 So, to kick off my review backlog: Union Street Boarding House, which I read Aug 30, 2016. I positively adored this book! Considering I started it on my lunch break at work and finished it by bedtime the same day, I think it’s safe to say the story had me hooked. Set in Pittsburgh in 1907, the main character (and our POV for the narrative) reminded me of Ms Marple, yet with a timidity and grace appropriate of a woman of that era. The story was well paced, the dialogue felt natural, and the mystery an engaging one. Union Street Boarding House was a quick read, enjoyable from the first page to the last. Anyone who enjoys a good period piece or a good mystery would be well served by this little gem!